Chic and sleek is the name of the game when it comes to the Rich sandal by David Tate®! Upper is constructed of antiqued suede. Cutout design keeps feet cool and dry. Peep-toe styling.Lightly padded collar prevents chafing and ankle discomfort. 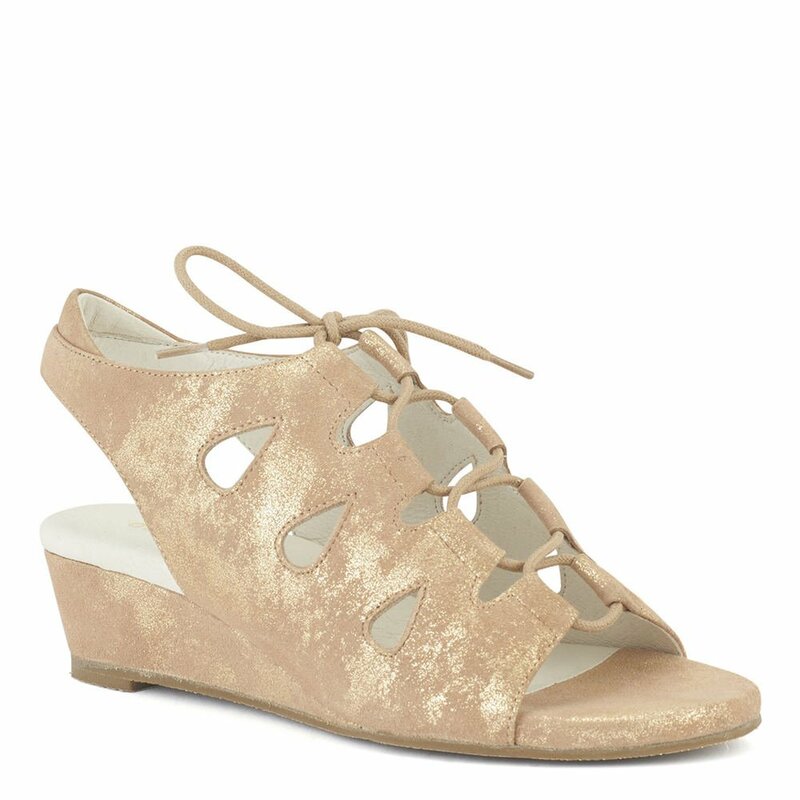 Supple suede wraps around the wedge-heel. Padded foam footbed provides plush cushioning and support. Durable rubber outsole delivers flexibility and traction.Imported. Measurements: Heel Height: 1 1⁄2 in Weight: 5 oz Product measurements were taken using size 6, width M (B). Please note that measurements may vary by size.Weight of footwear is based on a single item, not a pair.